NEW YORK—After losing in the fourth round of the U.S. Open to Juan Martin del Potro, Andy Roddick officially retired from professional tennis Wednesday, walking away from the sport while at the peak of his competitors’ careers. Roddick, who spoke with reporters at Flushing Meadows following the defeat, confirmed that he owed it to fans to step down at the pinnacle of his rivals’ talent and physical ability, saying he felt honored and blessed to retire while an intense desire to win still burned deeply inside Roger Federer, Novak Djokovic, Rafael Nadal, and Andy Murray. “I always said I didn’t want to be around if David Ferrer wasn’t playing at the highest level possible,” added Roddick, who was reportedly pleased that he could leave tennis with his competitors’ games intact. Appearing overwhelmed with emotion, Roddick tearfully admitted that he was very grateful for the opportunity to end his career on such a high note for the world’s greatest tennis players. “The best in the world being the best and me not being the best,” Roddick continued. 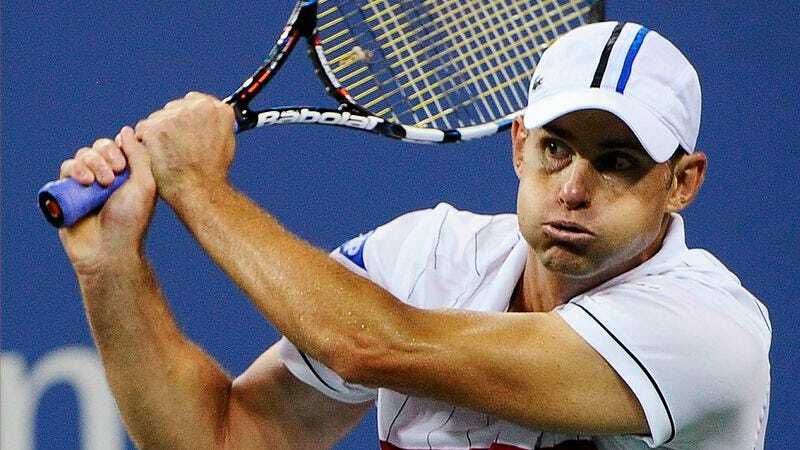 Roddick has long expressed concerns about playing until the tennis superstars were past their prime, claiming he felt it was best to retire before their skills had eroded. The 30-year-old was reportedly satisfied that he could go out with Djokovic still able to run across the court without any problems and Nadal’s devastating forehand showing no signs of decline. “I don’t want to see those guys get beat by someone like me,” Roddick added.